Lee Andrews & the Hearts was an American doo-wop quintet from Philadelphia, Pennsylvania, United States, formed in 1953. They recorded on the Gotham, Rainbow, Mainline, Chess, United Artists, Grand and Gowen labels. Managed by Kae Williams, in 1957 and 1958 they had their three biggest hits, "Teardrops," "Long Lonely Nights" and "Try the Impossible." 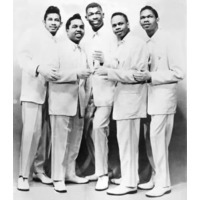 The group consisted of Lee Andrews (lead), Roy Calhoun (first tenor), Thomas "Butch" Curry (second tenor), Ted Weems (baritone) and Wendell Calhoun (bass). Lee Andrews was born Arthur Lee Andrews Thompson on June 2, 1936, in Goldsboro, North Carolina. He was the father of Ahmir 'Questlove' Thompson. He was the son of a singer, Beachy Thompson of the gospel music group The Dixie Hummingbirds. Andrews died on March 16, 2016 at the age of 79.